The Maldives’ first international film festival will take place next week on Sun Siyam Iru Fushi resort bringing filmmakers from across the world to Noonu atoll. ‘Following the Equator’ will unite artists who love tourism and sports with professionals and celebrities in a three-day event beginning on July 10th. As well as cultural events, guests will be introduced to the developing Maldivian film industry. They will also view the best short films submitted to the festival’s competition. Films up to 13 minutes long will shown during the event, covering categories that include mountain, water, extreme adventure, pilgrimage, environment, sports and tourism. The festival will also see the winner of a special contest announced, after entrants from across the world were asked to submit a video of up to 2 minutes in length explaining why they deserved a free stay in the Maldives. The film with the most Facebook likes, which is then deemed to be the best by the resort’s judging panel will win flights to the Maldives and a five day stay on Iru Fushi. The panel includes CEO of the Golden Peak International Tourism Film Festival Irina Arkhipova, Executive Coordinator for the Maldives National Centre of Arts Ahmed Nazim, and chairman of the Sun Siyam Group himself, Ahmed Mohamed Siyam. Iru Fushi lies a scenic 45 minute journey away from the capital Male, featuring over 200 luxury oceanfront villas and 14 different bars and restaurants. The Sun Siyam Iru Fushi unfolds over 52 acres of natural perfection, a world away from the everyday, yet just a 45-minute awe-inspiring seaplane ride from the capital, Malé. Warm crystal-clear waters wait to embrace you. Soft sands call you to kick off your shoes. 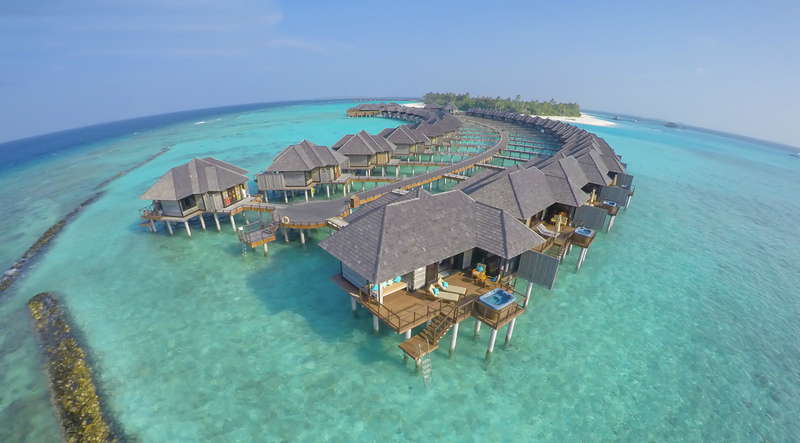 World Luxury Spa & Restaurant Awards 2017: The Sun Siyam Iru Fushi Maldives & Sun Aqua Vilu Reef wins big!